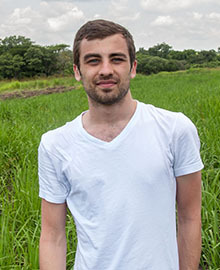 Matthew Sebastian is a second-year PhD student in the Department of Cultural Anthropology. He is interested in the consequences of humanitarian action in the aftermath of prolonged conflict. In particular, he is interested in the ways in which young people in northern Uganda navigate the limits and possibilities of post-conflict life and the interventions that are designed to help them do so. This summer, he will undertake preliminary dissertation research with a local organization that works to reconcile young ex-combatants with their communities in order to explore how expectations and visions of the future cut across interventions and those subject to such interventions. In addition to this work supported by the Duke Human Rights Center@FHI, he will continue to work on a number of collaborative research projects with young men and women that rethink the ways in which knowledge is produced in northern Uganda by challenging traditional representations of war-affected youth.